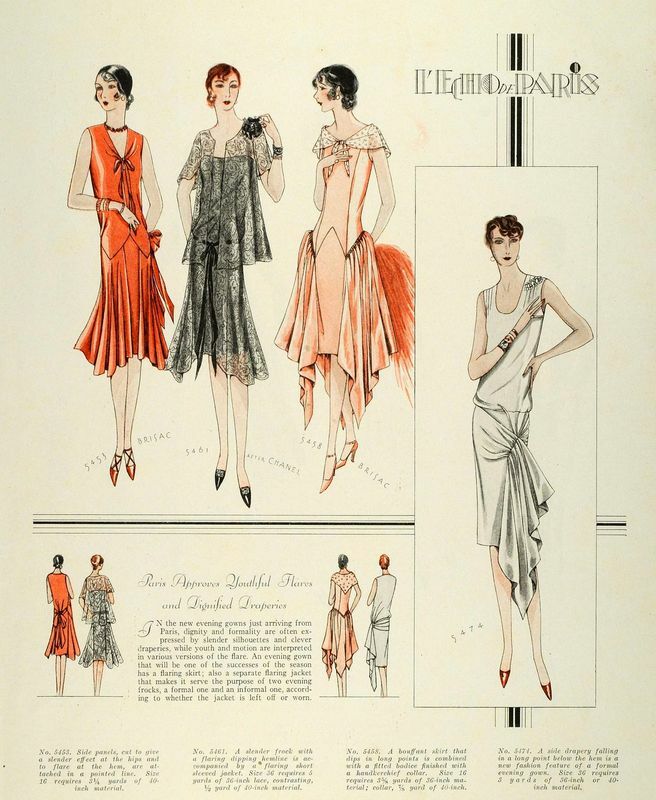 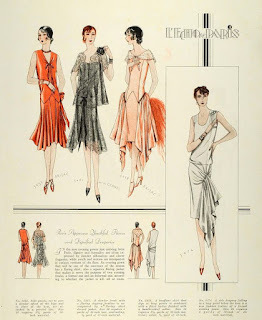 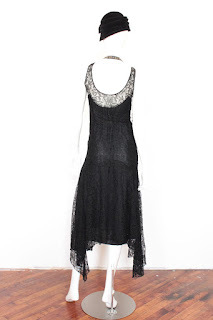 This dress is sold as is. 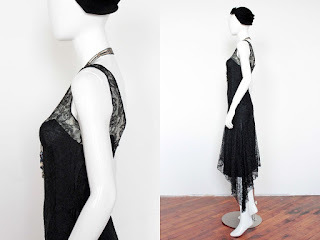 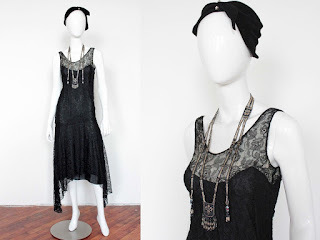 Beautiful 1930's asymmetrical black lace dress. 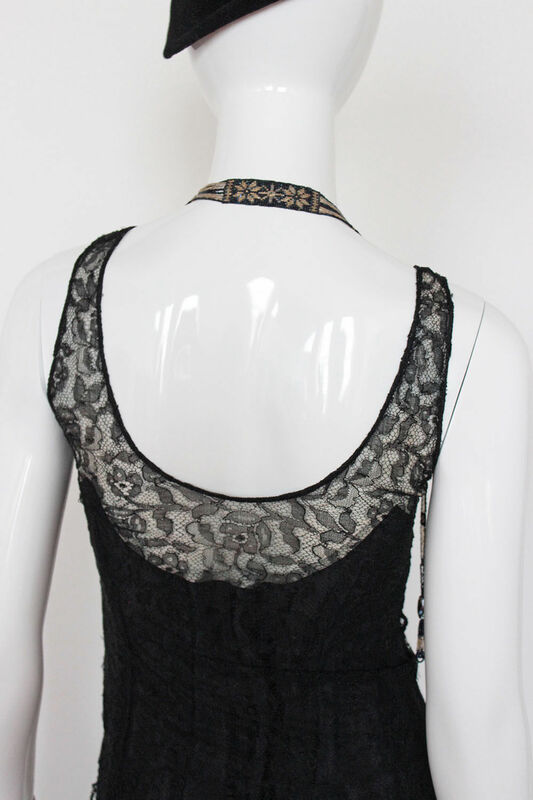 Bias cut with beautiful paneling done in the lace. 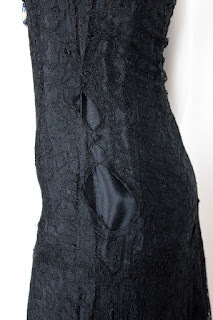 Large seam separations on the lace, I think could be fixed but not positive. Overall good condition for its age.